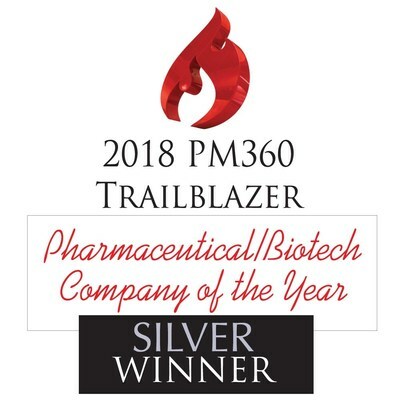 NORTHBROOK, Ill., Sept. 14, 2018 /PRNewswire/ -- Astellas was recognized as the silver winner for "Company of the Year" in the Pharmaceutical and Biotech industries at the PM360 Trailblazer 2018 Awards ceremony on Sept. 13. In addition, Astellas' "Keep on Dancing" campaign, sponsored by Myrbetriq, won for the best Video/TV campaign for its innovative approach to raise awareness of overactive bladder (OAB) symptoms and a treatment option. Since 2009, the PM360 Trailblazer awards have recognized outstanding achievement and innovation in healthcare marketing. Each year, the PM360 Editorial Advisory Board, a distinguished cross-section of industry experts, assesses organizations that have demonstrated excellence in innovation, talent development and social responsibility to select the best companies in five categories: pharma/biotech, medical device/diagnostics, specialty pharma/biotech, advertising agency and vendor/supplier. "We pride ourselves on recognizing companies that excel in all areas," says Anna Stashower, CEO and Publisher of PM360. "While each of our finalists have demonstrated tremendous success, they also show what it means to give back to their communities and nurture their employees." "We are proud to be named a PM360 Trailblazer Company of the Year," said Percival Barretto-Ko, president, Astellas Americas. "Innovation and collaboration are key aspects of our Astellas culture and critical for creating new approaches that best serve patients and empower the growth of our employees and community." Winning for best Video/TV campaign recognizes Astellas' unique approach to join with ABC's "Dancing with the Stars" (DWTS) to reach a highly engaged audience that also fit the demographic for women with overactive bladder. Through strategic marketing and social media outreach, the campaign reached millions of women to educate them on OAB symptoms and a treatment option.